Any of these injures can have serious long-term consequences such as lost wages, medical expenses, personal pain and suffering, home and lifestyle modifications. These injuries demand aggressive legal action. If you are in this kind of situation please contact The Law Offices of Robert R. Shiri, APC, for a free consultation at (310) 829-9943. Our team of personal injury attorneys will take their time to understand your circumstances and answer your questions in order to help resolve your legal issues. There are situations in life when you may get injured because of someone’s negligence. At the Law Offices of Robert R. Shiri, APC, we are civil litigators who specialize in providing legal representation to plaintiffs who have suffered a psychological or physical injury as a result of the careless or negligent acts of organizations or persons. No matter the cause of your accident, if a loved one was killed or you were injured, you need us to stand up for your rights. Our skilled and experienced lawyers specializing in personal injury will do their best to ensure that justice is served and you are fairly compensated. Please contact our personal injury firm today in order to schedule a free initial consultation at (310) 829-9943. Unfortunately, the sad truth is that insurance companies are not always on your side. They try to protect their profits, not your interests. However, you are entitled to be compensated for your injury. Usually the only way to get fair financial compensation is through legal action. Mr. Shiri defended insurance companies and other large Fortune 500 corporations for the first 10 years of his career, and then turned to representing the other side, injury victims. Mr. Shiri has the insight of dealing with and suing insurance companies and large corporations based on his over a decade of working for them. Our Firm handles all varieties of personal injury and wrongful death cases. We specialize in safeguarding our clients from being victimized by insurance companies and help plaintiffs receive fair compensation for their loss. Our team of personal injury lawyers are among this country’s most respected and experienced. We have a proven track record of our ability to win large settlements and verdicts for our clients. We are ready to take your matter as far as necessary in order to help you receive maximum financial compensation. We specialize in all Santa Monica personal injury matters. We have represented thousands of clients and collected millions. Don’t be taken advantage of by insurance companies. Hire skilled attorneys, who used to work for the insurance companies, to fight for what you deserve without being intimidated. We are dedicated to protecting you and ensuring that you are justly compensated for you or your loved one’s injuries. We fight vigorously for our clients’ interests to recover what our clients deserve. 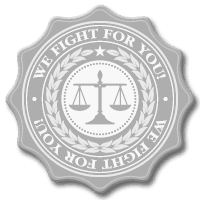 We have the skills necessary to protect your interests inside and outside of the courtroom. There are quite a few things in life that are unexpected. Being injured by the reckless or negligent actions of another can be one of those unexpected and difficult aspects of life. It is often hard to know where to go for help. Mr. Shiri defending insurance companies and other large Fortune 500 corporations for the First 10 years of his career, and then turned to representing the other side, injury victims. Mr. Shiri a skilled Santa Monica personal injury lawyer knows the insights of dealing with and suing insurance companies and large corporations based on his over 10 years of working for them. Our Firm handles all varieties of personal injury and wrongful death cases, including auto, motorcycle, trucking, premises liability, like “slip and fall,” assaults, violation fo civil rights, industrial or and construction accidents. If you believe that you or a loved one has an injury or wrongful death claim, please call us today for a free confidential consultation. Santa Monica personal injury lawyer that knows the Law! We know the law, and we will give you personalized, individual attention in order to collect the maximum amount of compensation and damages that are available to you under California law. If you, or someone you know, have been injured in an accident, call our office immediately (310) 829-9943. We understand the unique needs of personal injury victims and will work to make the litigation process as comfortable as possible. If you are not able to come to our office, a personal injury lawyer in Los Angeles will come to you at your convenience. All consultations are free, and we always work on a contingency basis, so you do not pay anything until we win your case. It comes down to experience, comfort level and results. Count on a Santa Monica personal injury lawyer who will work hard for you to bring your personal injury case and make a difficult situation easier to bear. Contact the Santa Monica personal injury lawyer team at Robert Shiri Law Offices today for a free consultation and advice about your case.